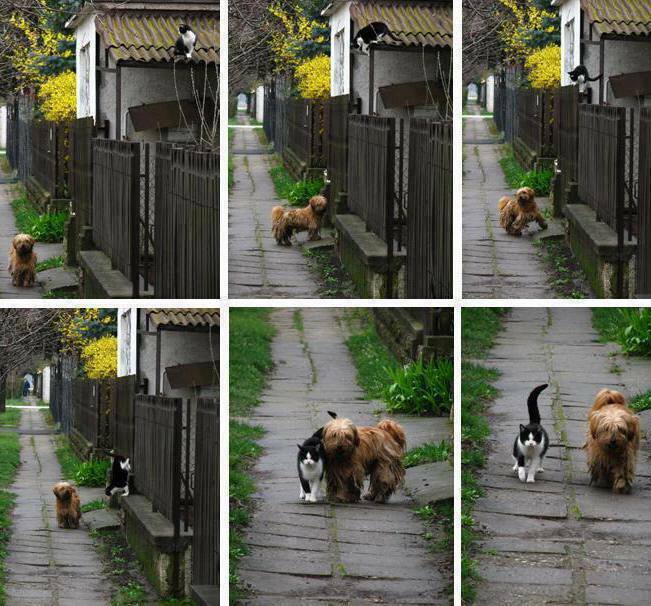 EXAMPLE OF TRUE LOVE AND FRIENDSHIP...!! Every day - at the same time - she waits for him. Sometimes she barks to call him. He comes; they rub and greet each other and they go for a walk. They have done this for 5 years and no, they don’t belong to the same owners. The owners didn’t know until neighbors seeing them together so frequently commented to the cat’s owner, who then followed the dog home which was a distance away - not in a house close or next door. How it started no one knows.